Vietnam war veterans say old wounds, over the way they were treated on their return to New Zealand, have reopened after they were denied access to a recent repatriation ceremony to honour the return of 27 soldiers who died while serving in South East Asia. The veterans are bitter and angry that they were not allowed to be part of a recent ceremony or at least get close. They said the feeling of rejection they felt on their return from Vietnam, when both the government and the public ignored them is still raw and the repatriation ceremony snub keeps that feeling alive. Official recognition did not happen until 2008 when a welcome home parade was held and an apology given to the veterans from then Prime Minister Helen Clark. The repatriation ceremony took place at Auckland Airport last month. 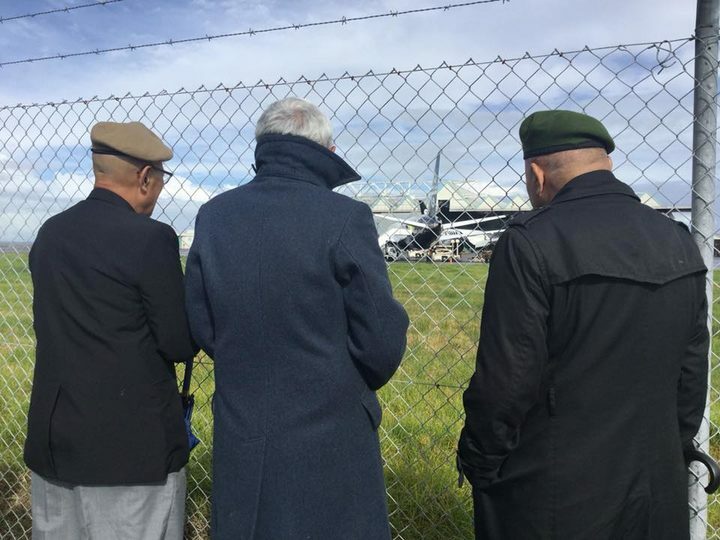 The ceremony was held at Air New Zealand's engineering base at Auckland Airport and was restricted to 12 family members of each of the returned men, plus dignitaries, media and some serving military personnel. Veterans were only able to view the ceremony from some distance behind a wire fence on the side of the road and often in pouring rain. Vietnam Veterans' Association president Andy Peters said they did ask to be allowed to take part but this was declined. "I was told no, there was policy laid down, and that was it." Mr Peters said the veterans would have liked some recognition. "They would have liked to have been in there and visibility was quite limited by the distance and other things obstructing them, yeah, we would all have liked to have been in there as part of what you might call the guard of honour from the plane to the hanger. There is disappointment." Rose Matthews travelled from Hokitika to Auckland with her Vietnam veteran husband, Rex for the ceremony. She said while it was great to see the fallen finally be returned home, it was sad that the veterans were kept behind a wire fence. "They were not included in being able to honour their comrades, their fallen through the front door, they had to do it out the back behind the wire. That was absolutely appalling and I doubt that they will fully recover from what has happened." Mrs Matthews said the veterans should have been able to play a part in the ceremony and they have been badly let down again. "My husband kept on repeating, this is the biggest insult to us ever and he is the quietest man and I cried at times myself, like many others seeing these men in pain." Mrs Matthews said she does not accept there was no room for veterans. "There was like a paddock and a massive amount of concrete. The veterans would not have intruded on the family space." She said the veterans only wanted to pay their respects in a dignified manner. Another veteran, 81-year-old Richard Shepherd from Whangārei, who served in both Malaya and Vietnam, said he felt hurt that veterans could not play some part or at least be able to be closer to pay their respects as a group to fallen comrades. "After all we had seen some of those guys die and that was the last time we saw them," he said. "It would have been nice to have been able to be closer to them as they came off the plane and to pay our respects that way." Mr Shepherd said they were able to acknowledge their mates as the fleet of hearses drove out of the airport but it was not the same. He said the treatment of the veterans did bring back memories. "A flash-back I guess of returning back to New Zealand and the treatment at that stage was raw and we are still there and all of that put together actually made the treatment and the hurt worse I think." The New Zealand Defence Force (NZDF) said in a written statement to RNZ that some veterans did approach them wishing to attend the ramp ceremony. It said they were advised the ramp ceremony was private for families of those being returned. It said the format of ramp ceremonies did not include non-serving veterans. The statement said the arrival home was the one families never got for their repatriated relative, whereas colleagues were often able to farewell them at the time and attend military funerals. The NZDF said representatives from veterans' associations were invited to the Auckland ceremony. 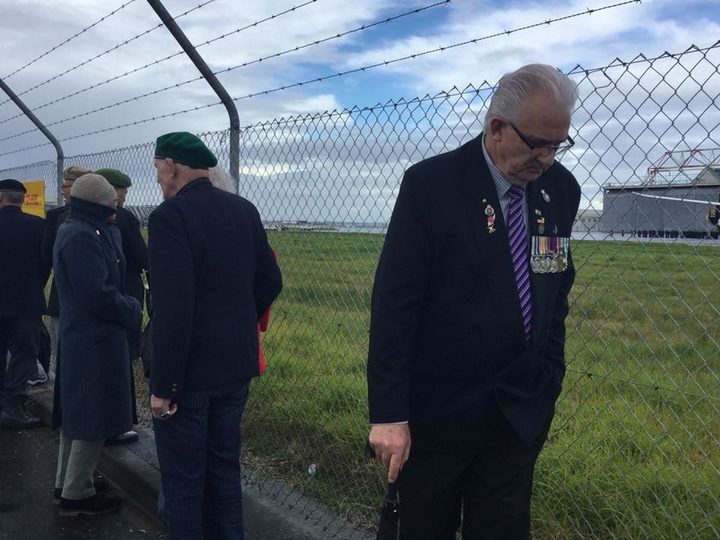 Project Te Auraki (The Return) organisers advised veterans of a suitable area for non-family veterans to gather to farewell the repatriated personnel as the hearses departed the airport.